Build a broad base of knowledge – When the teacher talks about a new topic in class, it’s helpful if your child has a fund of related knowledge. There are several ways to build this. Focus on building your child’s vocabulary – A child’s vocabulary scores are often reflective of their overall cognitive scores. A rich vocabulary supports confidence in the classroom and reading comprehension. Lots of outings – Everywhere you take your child, you are exposing them to new vocabulary and information. While museums, art galleries and nature walks are great, the beach, pumpkin patches and sports outings also count. Be sure you are answering questions and talking to your child about all they are seeing and doing at each. Read aloud everyday – Aside from being cited as the single most important factor in building successful readers, reading aloud builds a child’s vocabulary and broadens their base of knowledge. Play school – You might play school at home and encourage your child to be the teacher. During this game they can teach you about any topics they are learning in school. Playdates with classmates – The more they know and are comfortable with classmates, the more likely they are to be comfortable speaking in front of them. It can be helpful to arrange playdates with a wide range of children from their classes. Challenges in play – If your child is building a tower, you might challenge them to build it taller or think of two new ways to build the base. When children have a lot of practice at taking on challenges in play, they are more likely to do the same in the classroom. When the teacher says, “who can do this problem on the board?” they are a little more likely to raise their hand and try. Encourage risk taking in moderation – Children have to take risks to learn to ride a bike. It can be a risk to stand up in front of the class and speak. Encouraging a healthy level of risk taking in play and in life can help them feel confident to participate in class. This might be jumping off something at the park that’s a little higher than the last time or holding just one hand not two for balance. School skills in real life – If your second grader is learning how to count money, carry cash and let them be your banker. Let them count the money to and from cashiers. For a seventh grader learning to calculate percentages, have them figure out the tip at restaurants. Teach flexible thinking – Flexible thinking includes teaching kids to brainstorm ideas or solutions and think about the range of related outcomes. This might be encouraging children to come up with a plan B when their first plan doesn’t work. You might practice plan A vs. plan B for small issues often. You can also teach flexible thinking by playing games like Gobblet, Connect Four and Labrynith which require players to make new strategies often. Encourage persistence – When a child is stuck, you might give a bit of empathy and ask them questions or give them hints to help them move forward. You might help them break the task down into smaller pieces. I’d also highlight the benefits of practice and that the more they try, the more likely they are to solve and the easier it may seem the next time. Focus praise on effort, process and progress more than outcomes – When a child gets a good grade, it can be helpful to focus your language on how much they studied and how hard they worked. When they win a race, focus on how often they practiced and how much they’ve improved their time. Starting at a New School this Fall? Whether your child is starting at a new preschool or elementary school, the first day can be daunting. There are several things you can do over the summer months to help prepare for the first day. Visit the school’s website – Explore the website with your child. Point out pictures of happy children and read about fun yearly activities. Look for pictures of your child’s teacher or classroom. Play on the school’s playground – If it’s available, playing on the school’s playground can build happy memories during the summer that might carry over to the fall. Plan playdates with future classmates – If you have a class list, start contacting families over the summer to play or meet at the pool. If there’s no class list, you might ask neighborhood families if they have or know other children starting at the school. It can be so helpful to see a familiar face on the first day. Attend all back-to-school nights and visit-the-classroom opportunities – This is partly to support your child’s gradual entrance to the new school, and partly to be sure you are an informed parent. Often teachers review school policies and give important information at these events. The more you know about the school the better. Review the drop-off and pick up policies and have a plan for separation as needed – Share the plan for drop-off and pick-up with your child. As best you can, be sure they know where to go and what to do. If your child tends to have separation anxiety, it’s good to know the school’s policy for this as well. Here is a link to a blog post about separation: https://parentingbydrrene.com/2012/07/23/tips-for-separation-at-the-start-of-the-school-year/. Here is a link to a 20 minute podcast (#341) I gave on managing separation anxiety: http://www.parentsperspective.org/index.php?s=separation. Re-establish bedtime and mealtime routines – If you’ve lost a sense of routine, it’s good to rebuild this at least several days before school starts. If children are allowed to stay up late and sleep in the day before school, getting up and getting ready on time can be that much harder. If your kids are grazers over the summer months, it can be helpful to get back to regular meal and snack times as well. Remind them of other positive transitions they’ve made or you’ve made – Remind them how much fun they had when they started at a new camp last summer or when they joined a new soccer team. Tell upbeat stories about when you started school. Read upbeat children’s storybooks about the start of school – Upbeat books include DW’s Guide to Preschool by Brown, What to Expect at Preschool by Murkoff, If You Take a Mouse to School by Numeroff, Kindergarten, Here I Come by Steinberg and Welcome to Kindergarten by Rockwell. Practice school skills in real life – If your second grader was learning to count money, make them the “family cashier” for the summer. Stop using your cards and carry cash, let them count the money to and from at each transaction. Play school – Little ones may willingly take turns being the teacher and the student. When they are the teacher, ask them to explain a math skill they recently learned. When they are the student, ask them to read aloud to the class. Take field trips – My family is lucky to live in the Washington D.C. area. We have the Smithsonian Museums, National Zoo, Virginia battlefields and Baltimore Aquarium all within an hour drive. Within a day trip we can travel to Colonial Williamsburg, Jamestown Island and fantastic museums in Philadelphia. Take advantage of academically related field trips in your community. Take nature walks – There is so much to be learned in the world around us. Summer is the perfect time to get them out in nature. A great book about this is Last Child in the Woods: Saving Our Children from Nature-Deficit Disorder by Louv. Make writing fun – When you travel, encourage them to write post cards and keep a daily vacation journal. 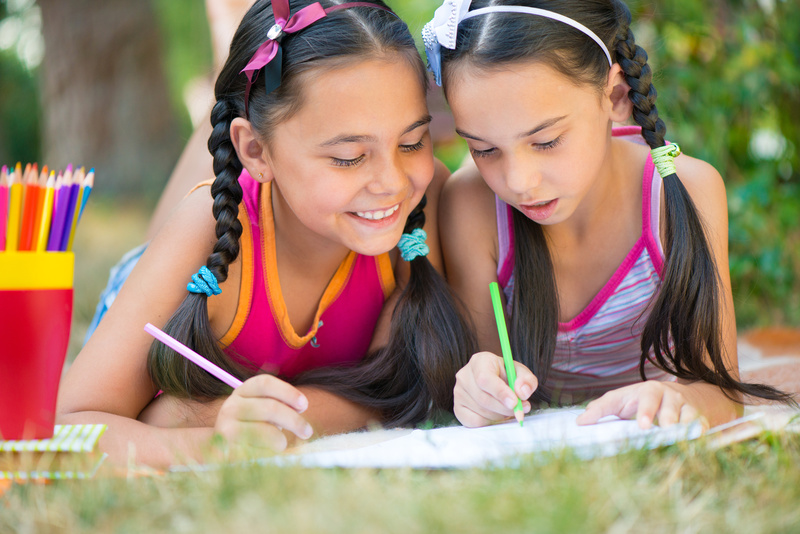 Provide other writing activities like invisible books, spirograph, stencils, mazes and Mad Libs. Challenge math in everyday ways – Talk about the math involved when you pump gas. For older children, teach them to calculate miles per gallon since the last fill up. If you eat out, teach them to calculate the tip. Take them bowling and teach them to keep score. Read aloud everyday – Reading aloud to children everyday is sited by the Department of Education as the single most important activity to build successful readers. Aim for 20 minutes a day and enjoy when it’s longer. Read aloud to them through high school if they’ll listen. If they are reading aloud – Encourage children to practice their own read aloud skills. This can be reading to a sibling, to the dog or even a stuffed animal. Encourage quiet reading time everyday – Again, aim for 20 minutes and appreciate when it lasts longer. Make this easy for them, bring books in the car or let them stay up later at night if they are reading. Plan a book club – If they are at all interested, invite a few friends to read the same book with them. Then plan a party to celebrate. Investigate library activities – Public libraries in our area host many fun children’s programs in the summer months. They also have a children’s reading challenge that ends with earning a coupon book for area businesses. Check out your local library! Puzzles, board games, cooking and crafts – Play provides learning opportunities such as puzzles for spatial reasoning, board games for social skills and often math skills, cooking and crafts for following directions, tending to details, math and fine motor skills. Spend time this summer playing with your children. Please share your own ideas below! When your child is challenged by a new problem, the idea is to remind them of what they already know and build from there. This can help make the task seem more manageable and provide a familiar strategy. Let’s say your child has mastered 25 piece puzzles, and they are starting on a 60 piece puzzle for the first time. If they get to a point of frustration, you might remind them of previous strategies such as, “I remember the last puzzle, you started by finding all the edge pieces.” This helps them to break the big task into smaller tasks, and puts them on a familiar path towards problem solving. When your third grader is starting to learn her multiplication tables, you might start by showing her how multiplication is repeat addition. 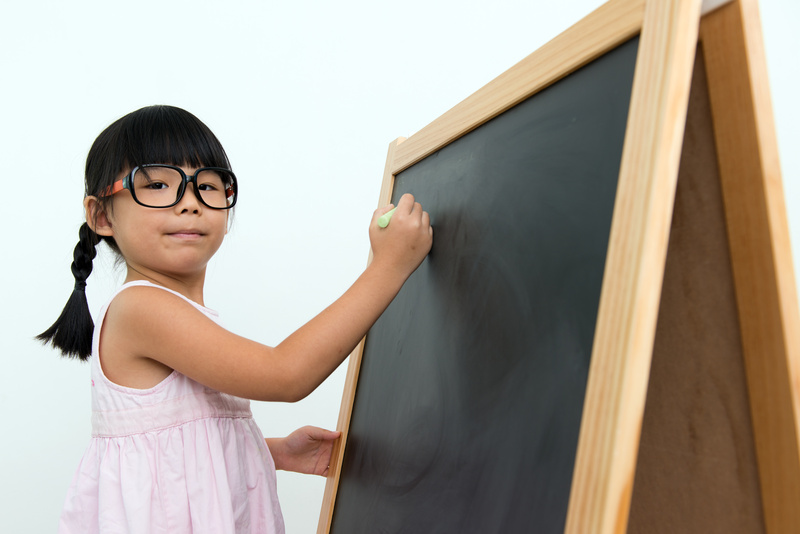 She’s already mastered addition, so multiplication may seem a more managable task this way. Throughout your child’s education, it is important to build a sense of home-school connection. There is benefit for your child’s academic motivation if they feel you value their school, and that their school welcomes you. There are so many ways you can work to build this bridge. Take an interest in their progress – Ask how school is going, what they do or don’t enjoy about their day and keep up with their grades. This also allows you to intervene early if there is a concern. Check and discuss their homework – Unless their teacher says otherwise, err on the side of checking homework for completeness and effort rather than accuracy. If you do check for accuracy, make a note to let the teacher know where they originally struggled. Expand on school learning – If they are learning about a war, take them to that monument. If they are learning to count money, make them the family banker who pays with cash and counts in both directions for every purchase. Participate at school when and how you can – If you have the time, be a room parent. If not, go on the fieldtrips and send in supplies whenever you can. Be sure to meet the teacher, and at least keep up with the PTA. Read aloud everyday – Reading skills are essential for success across academic subjects. Building a love of reading and related skills is a strong piece of later academic motivation. Help them to fully investigate their own areas of interest – If your child is interested in the rainforest, take them to the rainforest room at the aquarium and the zoo, watch the rainforest episode of Magic School Bus or join the Rainforest Alliance. Share your own learning – Let them know when you take classes or read books on new topics, let them know you are excited about learning. To learn more about this and other ways to build motivation and manage homework, join me for my workshop on Managing Homework and Academic Motivation. This is scheduled for September 18th from 7:00-9:00 p.m. For more information and to register, please visit http://www.eventbrite.com/org/283710166?s=1328924. Kindergarten teachers are not often as stressed as parents about an individual child’s readiness for Kindergarten. From the teacher’s standpoint, there are two main categories, academic readiness and social readiness. Across studies, social readiness ranks higher on teachers’ scales of importance. Social readiness includes things like being able to listen and follow directions, being able to sit still, being able to participate in a group activity and play skills like sharing and turn taking. It may be important to consider the tendency to wait a year of other families in your school district. With some children starting who turn five the day of requirement, and others who bypass that by more than a year, there is a wide age range for children entering the classroom. This increases what was already a wide range of skills. If you are planning to delay the start of Kindergarten for a specific reason, the next step is to start thinking about the best use of that year. If there is a specific concern, see the right people, get the right homework, read the right books. Make a plan to use the time wisely. This is a topic that could stand further discussion. Please post your related questions in the comment section below. This time of year, I provide a lot of teacher trainings at area preschools and grade schools. I have been listening the last two weeks and wanted to share some tips from these teachers for parents as we all start the school year. Know the school’s policies – This means, read the handbook. If you have follow-up questions, please ask. This can often save time and frustration for all. The more everyone knows the plan and is on board the better. Offer to help when you can – If you have some free time, even after school hours, your offer to help is always appreciated and often accepted. There are so many ways teachers can put you to work from cutting art supplies at home, to organizing a craft cabinet, to reading at story time or helping in the lunchroom. Be on time – Teachers often have set activities during the drop-off window. It tends to ease separations if children arrive to the same activity each day. Children who arrive late may also miss valuable information and have a harder time completing morning work. Let teachers know if there are changes at home or other concerns – It can be very helpful for teachers to be aware of changes and stressors like a move, lost job or significant illness in the family. This can help explain changes in behavior or participation. It is also helpful if teachers are made aware of issues such as frequent aggression or learning difficulties. Plan playdates with all the kids in the class at least once (ok, this one is mine) – The idea is to have a bit of time to connect with each classmate at some point during the year. This can go a long way towards helping your child socially by making everyone a familiar face and someone they can sit with or ask to play. Something to keep in mind as the school year starts is the importance of being involved. Overall, you want to provide your child with a sense of a home-school connection. This means the child grows up feeling that my school values my parents and my parents appreciate my school. At the school, this can happen in big ways like being a room-parent, helping plan class parties or volunteering time in the classroom. This can happen in smaller ways, by sending in the party supplies, keeping up with the weekly schedule and having open conversation about their daily experiences or attending extra curricular activities. At home, this can include checking homework and helping them study, reading aloud daily and taking outings or finding websites related to what they are learning about in school. This can be as easy as telling them what you like about their school or teacher. Children who grow up with this home-school connection from parent involvement tend to have better test scores and higher graduation rates. They tend to particpate more in the classroom and report greater enjoyment in school. The National PTA suggests considering five questions for kindergarten readiness. How mature is your child? What does the pediatrician or preschool teacher say? Are they motivated to learn? Are they big or small for their age? What do other families in your community do? Is there a delay or disorder that may be benefitted from time? Do you have the sense they may end up repeating a later grade? None of these questions should be considered alone. Look at the whole child and daily functioning. If you are deciding to wait a year, plan for making the most of that time. Remember that reading aloud to children is cited as the single most important factor in making successful readers. Build social skills and give opportunities for repeated play with the same children. More downtime, less screentime. Learn the guidelines given by the American Academy of Pediatrics or by Zero to Three about screentime and decide for your family some healthy boundaries. Give children time to learn to entertain themselves. Build challenges in play. Challenge them to build taller with blocks, complete puzzles faster and to tackle tasks together. Build attention span. Read increasingly longer stories and play increasingly harder games and more difficult puzzles.